Nearly all homes have window features because of the many health and environmental benefits they provide; however, without the proper window treatments, they can also lead to high energy bills in the summer and the winter. Before you choose a window treatment, it is important to consider a number of factors including the year-round climate of your area and the size of your windows. During the solar shade selection process, you should take time to research different types of solar shades so you will be able to make an educated and informed decision on what is the best solution for your area. If you do not use any type of window treatment on either the inside or outside of your house, you will likely pay higher energy bills than those who make the investment and take the time to install them. 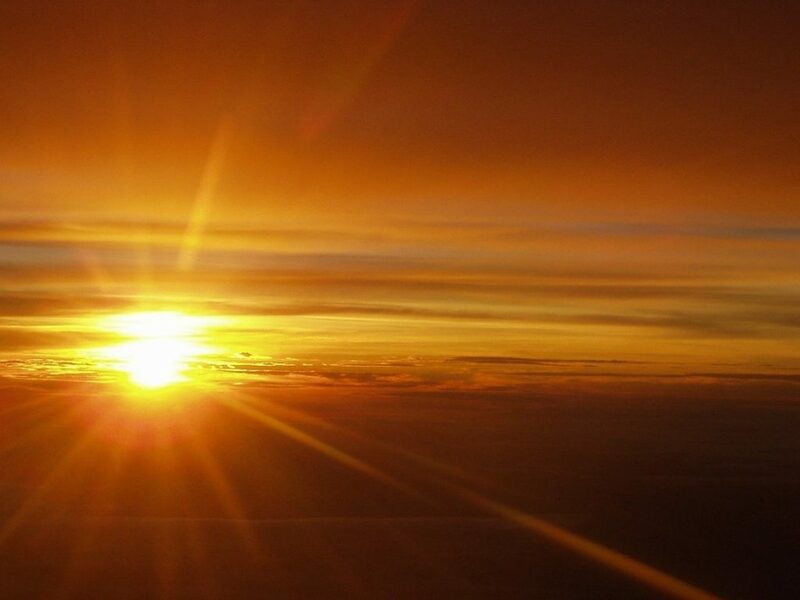 The sunlight that enters your home’s windows during warm months converts into heat at a rate of 76 percent which likely causes you to use the air conditioning significantly more. Similarly in the winter, you lose 30 percent of that heat to the cold windows. When windows are covered with a treatment, it acts as insulation and naturally maintains a warmer or cooler house without the assistance of the heating or cooling systems. Both safety and security are impressive benefits to installing motorized solar shades. These types of shades do not have cords that are commonly associated with traditional blinds, and this is a key safety feature for people with pets or small children because blind cords are a common source of strangulation. Solar shades also limit the view from the outside looking in which deters strangers and potential burglars from seeing inside the house during the daytime. Having window treatments is well worth the financial investment because it will save you money in the long run by protecting your home against theft and other dangers. If you dream of an entirely smart home, solar shades are another way to incorporate your smart home technology with life improvements. Certain types of solar shades can be programmed to function with smart thermostats to open and close depending on the time of day, outside weather, or inside temperature. The adjustments will be made automatically by both devices once they determine that the room is too hot or too cold. Having your solar shades programmed to open and close during certain times of the day or at specific temperature levels will lead to additional savings on your energy bills. Both interior and exterior window treatments can be automated, and having the extra convenience of automated shades provides added benefit to your lifestyle and home’s value. Rather than walking around the entire house to manually raise the blinds, you can control them from a remote or button. It is possible to add solar shades to skylights and other hard-to-reach windows that would normally be difficult to manually control with blinds. Additionally, you can program schedules for the solar shades to operate on a schedule, opening and closing at different times on different days. Having solar shades on a schedule is convenient because you can tailor your schedule to when you will be using or when direct sunlight will affect certain areas of your house. All types of window treatments offer protection and benefits. Interior window treatments come in a wide variety including cellular shades, window quilts, roller and Roman shades, blinds, drapes and window film. All of these options help provide privacy, increase natural light, minimize heat gain during summer months and maximize heat gain in the winter. When choosing your window treatments, think about which treatment will offer the most advantages specific to your area and look best based on your design preferences. 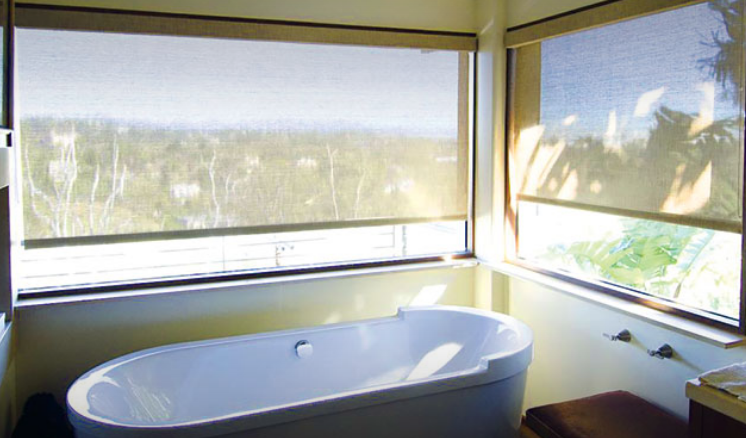 Cellular shades are perhaps the most ideal for homes exposed to more extreme temperatures in either direction as they act as insulators. These save energy during warmer months by reducing solar gain and vice versa in the winter. Window quilts literally look like a quilt and operate by rolling up and down. These typically cost less than cellular shades; however, they offer similar energy benefits to insulated cellular shades. Both Roman and roller shades are a continuous panel of material and operate by being raised and lowered by a cord. When raised, the material on Roman shades gathers into a row at the top of the window while roller shades have the material rolled around a tube at the top of the window. Both types of shades offer a clean look, and the type and color of material factor into how much insulation the shades provide. Choosing material that is darker and heavier will help insulate heat. Blinds are window coverings with horizontal or vertical slats, and drapes and curtains are fabric coverings for windows. For better insulation, choose drapes and curtains that have a backing to them. Window films are a type of film that cover the entire window and help block solar heat while minimizing glare. Exterior window treatments differ from interior window treatments in many ways. The materials are often made of more durable materials that can withstand the environmental elements. You should choose material based off the durability and how it will withstand weather in your geographical area. In cold geographical areas, window treatments should be able to withstand winter weather, and in warmer geographical areas, window treatments need to be able to survive more extreme temperatures and direct sunlight. Vinyl and fabric shades typically have openings to permit varying degrees of visibility from the inside of the house. It is important to note that large openings allow more solar gain to reach the window and the interior as a result. Exterior window treatments can be operated either manually or automatically. Roller shutters have slats that provide storm protection, security, shade and privacy. Serving dual purpose, they will prevent heat gain, but the slats can also be opened for airflow and sunlight to enter. Awnings and exterior solar window screens are additional types of exterior window treatments to help improve efficiency. Awnings are ideally used on windows to provide shade and heat relief during summer months. These window treatments are often made of canvas, metal and synthetics. The most modern awnings will automatically retract, repel water, resist fading and resist mildew. If you choose a tightly woven and opaque awning, you will reflect the greatest amount of sunlight. Exterior solar window screens are ideal if you prefer a view from the inside to the outside whilst reducing solar glare, damage from UV rays and heat gain prevention. Many people debate whether to use darker fabrics or lighter fabrics for solar shades. Darker fabrics help insulate heat while lighter fabrics help cool rooms during warmer weather. When making a fabric selection, think about what your primary needs are in a shading system. The fabric you choose can help to protect artwork, floors and furniture throughout your home from highly damaging UV rays. Some fabric will help to provide insulation to keep your rooms cooler in the summer and warmer in the winter. Keep in mind that exterior window treatments stop the sun from entering the house far more successfully than interior window treatments. The right solution for your home’s window treatments will depend upon many aspects including geographical area, needs, window sizes, and budget. It is important to reach out to a professional provider for solar shades to find the best solution for your needs. Be sure to tell them which benefits and features are most important to you, such as energy efficiency or automation, so they can better help you choose the solar shade that is most beneficial to your specific desires. Solar shades are revolutionizing the home energy and interior design industries because they protect your home’s interior from the sun’s damaging UV rays and help regulate your home’s temperature. In addition, solar shades provide an extra level of security to your house which will help deter unwanted activity. When you purchase solar shades, you are making your house more energy efficient and adding protection to it, and the money invested in solar shades will be cost-effective because of the savings on energy bills and the increase in home value. Solar shades are a simple home improvement feature that will provide countless benefits and savings to your house and lifestyle.